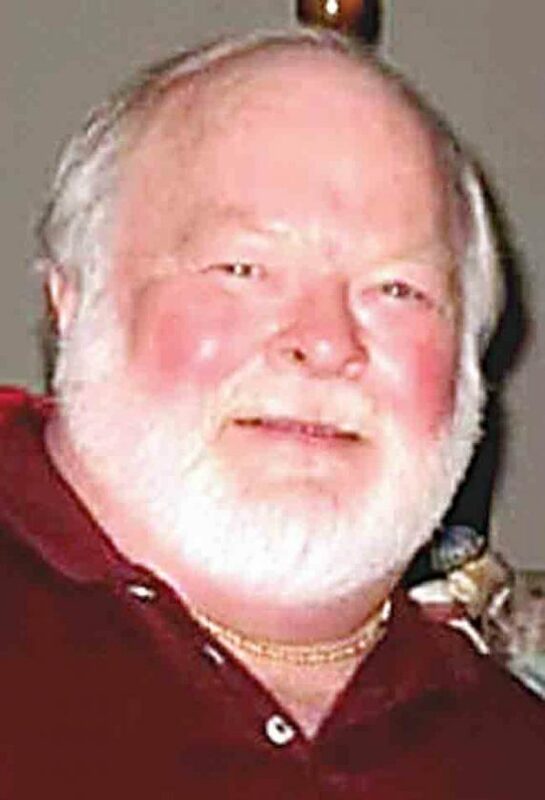 Larry D. Chambers, 71 of Parkersburg, WV died at the Marietta Memorial Hospital on March 19, 2019. He was born on August 17, 1947 and was the son of the late Bruce and B. Mildred Spencer Chambers. Larry was a Belpre High School graduate of 1965; he was Salutatorian, second to his best friend that became Valedictorian. Larry graduated from Ohio University with a BS in Mathematics, and went on to Case Western Reserve University earning a Master’s degree in Business Management. Larry was a son, brother, father, grandfather, uncle, nephew, cousin and friend. He had many different nicknames through the years such as Larry D and LD but the most important one to him was that of “Old Popo.” His father was known to the grandkids as Popo, but Larry being a humble man, did not want to fill his dad’s shoes and did not want to take away from the original Popo. So, he became “Old Popo” and it was a title he was very proud of. Larry was very interested in world events, U.S. History and talk radio. He was always up to date in the happenings of the world and was able to articulate not only his view points, but facts to support why he believed what he did. Larry also enjoyed college basketball and the Cincinnati Reds and had a fondness for Pete Rose. He looked forward to March Madness each year, barricading himself in the house to watch each game. He would root for the West Virginia Mountaineers but enjoyed every game played. Music was something he enjoyed. From John Philip Sousa, to the Statler Brothers to Crystal Gayle, he could be found tapping his leg to the beat of the music while driving in the car. Anyone that knew Larry would know about his sense of humor. He enjoyed comedians, slapstick comedy and witty humor jokes. His children and grandchildren would normally just roll their eyes when he told a joke but he would laugh until his face turned even redder than it normally was. He had such red, rosy cheeks and with his white hair and beard, he was often told he resembled Santa Claus which lead to a witty response with a twinkle in his eye. Larry traveled some in his earlier years and enjoyed the places he went. However, one of his proudest moments in life was when he played baseball as a young man; he was in a 3-county tournament and hit a 700. He was mentioned in the newspaper as an offensive standout in the tournament getting 7 hits, 2 of which were home runs in 10 official at bats. They called his dad down to present the game ball to him. Larry kept that ball near and dear to him throughout his lifetime. He often shared how this game impacted his life. He learned “how important it is to believe in yourself, and how just one person, giving someone positive reinforcement and encouragement, can make incredible changes in another person’s life.” He never forgot Coach Hugh Bierbower’s name, nor the words spoken to him that gave him the confidence to believe in himself that did not end when the game ball was presented to him. Larry loved his dogs Missy and Toby and his heart broke when they passed away; they were very special to him. Larry had a deep relationship with God and shared that with his daughters. He often spoke of his love of Davy Crockett, John Wayne, Clint Eastwood and Paul Harvey. As he might say, “And Now You Know the Rest of the Story”. Larry will be missed by many. Survivors include his two daughters, Kristen Chambers Sortman (John) of Tipp City, Ohio, Kara Sue of Beavercreek, Ohio, his grandchildren, Emilie, Libby, Hannah, Samuel, Braden and Levi. Also surviving is his brother Robert (Janet) Chambers of Albuquerque, NM, a special Aunt, Vernola Augenstein of Belpre and his extended family which included his nieces and numerous cousins. He was preceded in death by his parents Bruce and Millie Chambers. Services will be on Tuesday at 2:00 PM at the Leavitt Funeral Home, Belpre with Reverend David Hubbard officiating. Visitation will be on Tuesday from Noon till 2:00 PM. Burial will follow in the Rockland Cemetery.